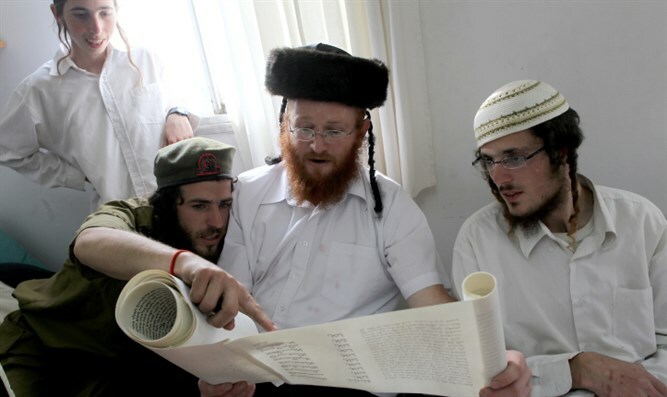 Over 400 'neutral' locations across Israel to have Megillah readings on Purim for both religious and secular Israelis. JTA - Purim megillah readings and activities will come to over 400 neutral locations throughout Israel this year. The Tzohar Rabbinical Organization, which works to bridge the gap between the religious and secular in Israel, and Ohr Torah Stone’s Yachad, or Together, Program, will hold the Megillah BaKehilla, or Megillah in the Community programs throughout the country over the Purim holiday. Among the venues are community centers, local entertainment facilities, and school gyms. This year readings also are scheduled to take place in several fire stations, to recognize the challenging few months that firefighters experienced around the country this year. Over 50,000 people are expected to participate in the readings and programs. Tzohar has been coordinating community holiday programming for over 10 years, with the goal of making Jewish holiday traditions accessible to all Jews in Israel in a non-coercive atmosphere. Events for Yom Kippur, Purim and Shavuot are hosted in kibbutzim, moshavim and cultural centers across Israel, staffed by hundreds of volunteers. Ohr Torah Stone’s “Yachad” program has been running Jewish Identity programming in community centers across the country since 2004, with the goal of empowering the secular population in Israel to connect to the traditions and values of their heritage and to feel pride in their Judaism.